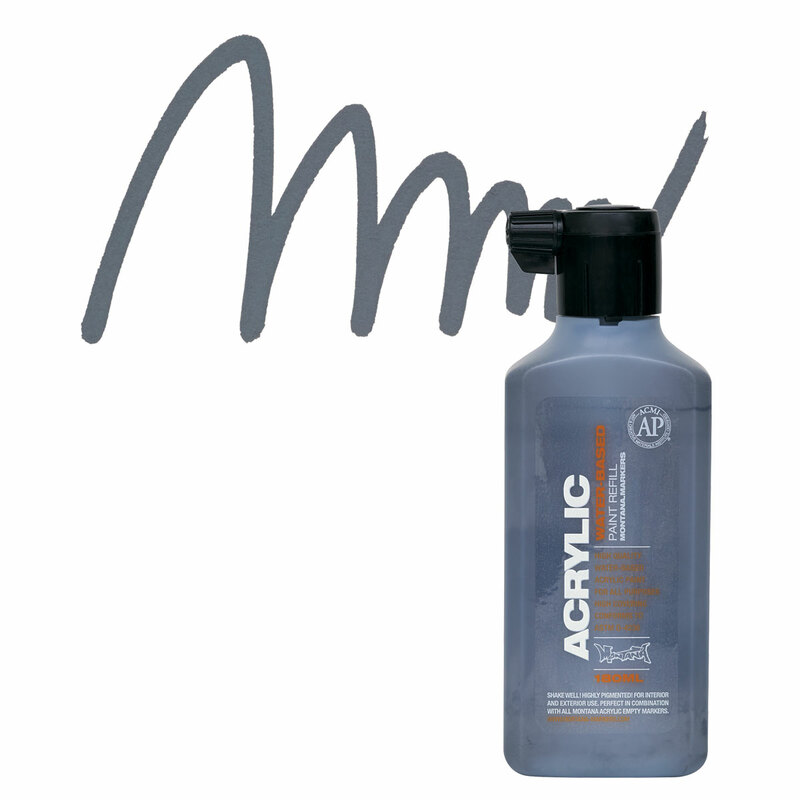 Montana Acrylic Markers feature brilliant, waterbased, pigmented, matte colors that are compatible with and match the colors in the Montana Gold spray paint range. The optimum flow control pump valve system allows accurate handling and application. Color Swatches created using full strength and were applied on cold press Bristol board (2 ply) material.